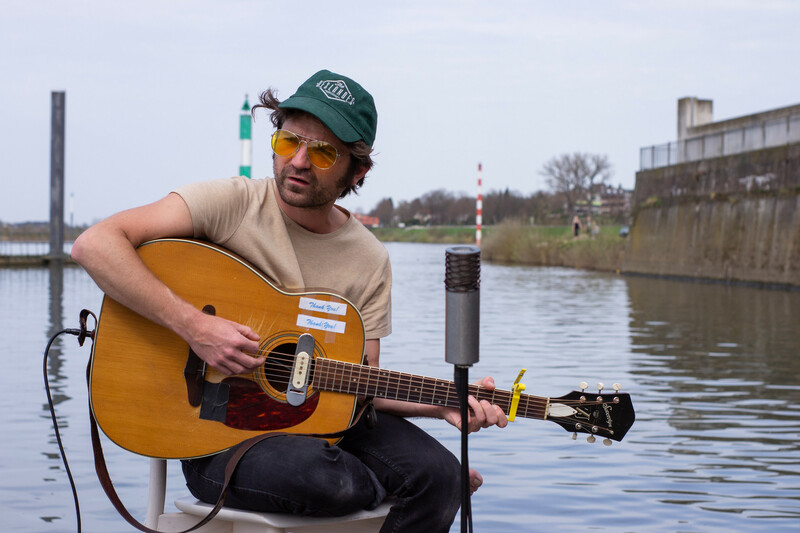 Earlier this year, I drove to Venlo – a city in the South East of The Netherlands – to film sessions at the lovely roots music festival Down By The River. The guys from Sedate Bookings put together a pretty crazy line up featuring – amongst others – The Deep Dark Woods, Kacy & Clayton, Andrew Combs, Twain, Jerry Leger and Blitzen Trapper. With the last three of those, I filmed some stunning sessions down by – come on, guess! – the river. This is the first of them to appear online. ‘Vernon is a song I just recently heard and in general I’m just finding out about Vic. He really speaks to me. As for Vernon, I couldn’t believe that someone used Cafe Bustelo in a lyric. And the melody is so amazing! And the character, he’s so visible. I’m just getting into Vic Chesnutt, but I really dig him. I’ve been listening to the album Little. Parting (In Love) is a new, unreleased song by Twain. So there are no other recordings of it as of yet.